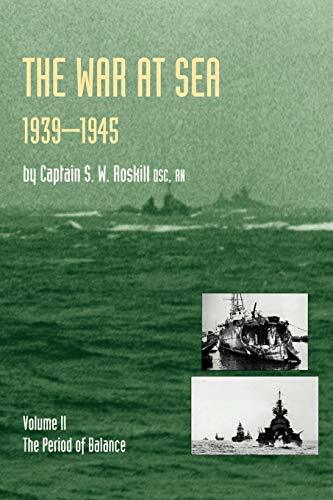 Synopsis: Captain Roskill has long been recognised as the leading authority on The Royal Navy’s part in the Second World War. His official History (originally published for the HMSO) is unlikely even to be superceded. His narrative is highly readable and the analysis is clear. Roskill describes sea battles, convoy actions and the contribution made by technology in the shape of Asdic & Radar. 'Contents: Chronological Summary of Principal Events; The Pacific and Indian Oceans 1st January -31st July 1942-The African Campaigns 1st January-31st July 1942-The Priority of Maritime Air Operations 1942-The Battle of the Atlantic. The Campaign in American Waters 1st January--31st July 1942-Home Waters and the Arctic 1st January -31st July 1942-Coastal Warfare 1st January-31st July 1942-Ocean Warfare 1st January-31st July 1942-The Battle of the Atlantic. The Second Campaign on the Convoy Routes 1st August-31st December 1942-The Pacific and Indian Oceans 1st August-31st December 1942-Coastal Warfare 1st August-31st December 1942-Ocean Warfare 1st August-31st December 1942-Home Waters and the Arctic 1st August-31st December 1942-The African Campaigns 1st August-31st December 1942-The Battle of the Atlantic. The Triumph of the Escorts 1st January-31st May 1943-Coastal Warfare 1st January-31st May1943-Home Waters and the Arctic1st January-31st May 1943-Ocean Warfare1st January-31st May1943-The Pacific and Indian Oceans 1st January-31st May 1943-The African Campaigns 1st January-31st May 1943 The Mediterranean Re-opened.